Standing room only! 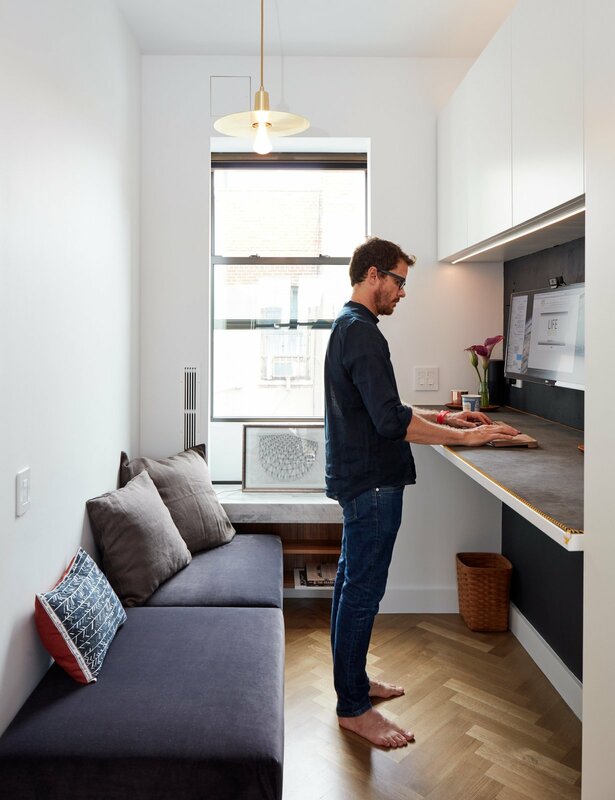 If you're in need of home office ideas for small spaces, consider a fold-down desk that allows you to stand while working. This one, a New Table Concept by Resource Furniture, is a great option. Comfortable seating, ample storage, and a modern light fixture round out the space.